Dr. Diener-West's research interests have focused on the design, conduct, and analysis of clinical trials. For 20 years, she was the Study Statistician and Deputy Director of the Coordinating Center for the Collaborative Ocular Melanoma Study (COMS). The COMS is a set of long-term multicenter clinical trials sponsored by the National Eye Institute and conducted at 43 clinical centers to investigate the effectiveness of different radiation treatments on prolonging survival of patients with choroidal melanoma. Areas of interest have included risk factors for mortality and predictors of growth of small melanoma, agreement among multiple raters, and correlation of different methods of measuring tumor dimensions. Other research interests include treatment trials for cystic fibrosis and a longitudinal assessment of the relationship between sleep disorders and heart disease in the Sleep Heart Health Study. 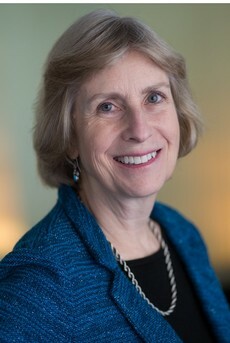 She is a member of the faculty of the Johns Hopkins Center for Clinical Trials. Dr. Diener-West's interests also focus on the statistical education of health professionals. Since 1990, she has taught courses in introductory statistical methods and data analysis. With Dr. Sukon Kancharaksa, she developed and co-instructed the course Fundamentals of Epidemiology, the School's first distance education course.